Improve your website with confidence. 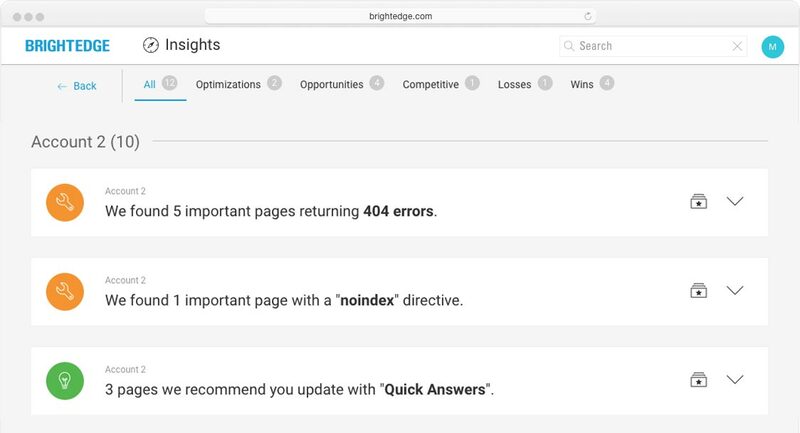 BrightEdge Insights is your personal data analyst that recommends opportunities to pursue and errors to fix, while highlighting what’s been successful and what competitors are doing. Insights gives you the confidence that you are focusing on the things that will drive the biggest impact today. 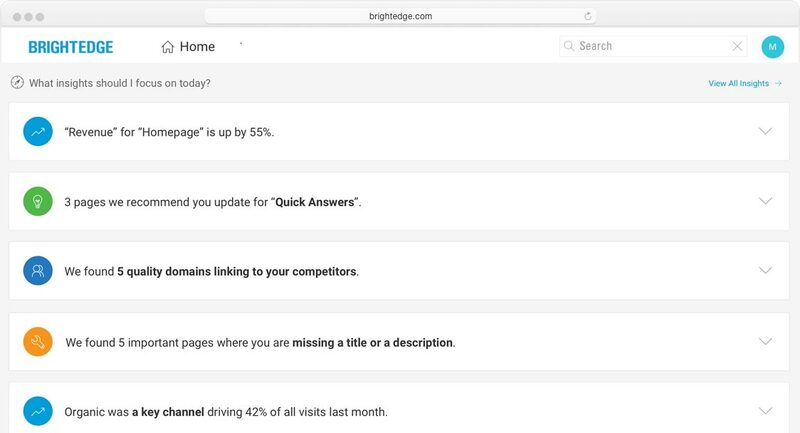 Insights prioritizes all of the actions in one simple feed, placing the most critical actions at the top. 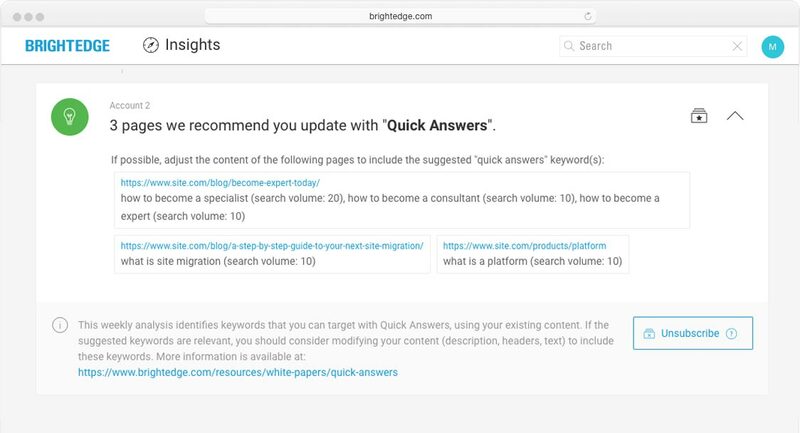 Instead of spending time on data extraction, manipulation, and syntheses, you will get back hours each week by taking recommended actions from Insights that yield quick wins in SEO. With artificial intelligence, Insights does the heavy lifting to uncover the most relevant actions you should take. 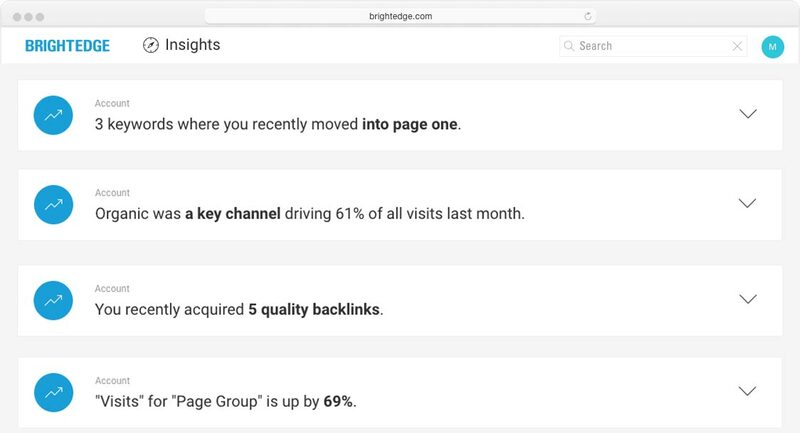 Insights looks at millions of web pages, examines thousands of changes each week, and boils them down to a few key findings that will move the needle for you. Insights accelerates the time to results and ROI. Imagine reviewing a prioritized optimization plan put together by an AI-powered virtual data analyst in the morning, and getting your team to work on the most important tasks before lunch. At L'Oréal, SEO is in everything we do. With Insights, we don’t have to go into the trenches to mine the data. We also enabled Corporate Marketing to optimize their backlinking strategy amidst competition.